You can trust Norfolk Aviation’s acquisition team to use the most efficient and thorough methods when it comes to the acquisition of aircraft. We aim to acquire the right small aircraft, at the best price, with nothing but full disclosure every time. The comfort of you and your passengers. 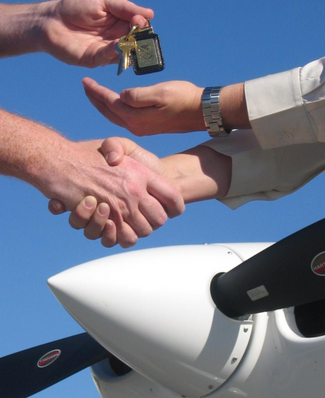 At Norfolk Aviation, we’re proud to offer full buyer representation for a large range of services. From gathering information on the aircraft, to your first flight in your new aircraft. We strive to keep communication lines open, to ensure satisfaction and to serve you in all of your future aviation needs! We want to make sure our buyers are well educated before making a purchasing decision. Thats why we provide each of our buyers with a completed analysis and comparison of aircraft performance specifications to make sure you’re able to purchase your perfect aircraft. We receive and review market data and sales figures regularly, giving us an accurate representation of the current aircraft market. We provide negotiations and sale contingencies to ensure you get the most for your dollar. 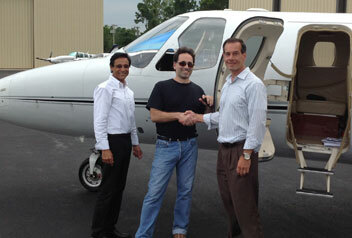 We can even work a “trade in” with your current aircraft. This furthers the saving of your valuable time and makes the overal transaction much more simple. Norfolk Aviation newtworks with professional associates across the globe to receive information on desirable aircrafts as soon as they hit the market. As our client, you’ll have the first pick of the best current aircraft for sale. Typically, a good buy is out there for a few weeks, or a few months but a great buy is usually gone in just a few days! An incredible deal often sells before any advertisements are even arranged. Bank financing – available for both domestic & foreign clients. Insurance for any aircraft – always with competitive pricing. Trust registration – Keep the U.S. registration and N number while operating in another country. Aircraft management – in cases when clients do not prefer to be involved in the maintenance, hangaring, fueling, etc. Aircraft maintenance – including upgrades and avionics, repainting and custom interiors. Tax planning and consultation for aviation specific circumstances. Let's Find Your Perfect Aircraft!